Hybrid Hard Drive (HHD) is a type of large-buffer hard disk. It is different from standard hard drives in that it integrates a cache using non-volatile memory. We previously wrote about Solid State Drive and Traditional Hard Drive. Hybrid Hard Drive usually the most complex point of an application, regardless of the format in its raw state committed by the operating system. Hybrid Hard Drive is a type of large-buffer computer hard disk drive. It is different from standard hard drives in that it integrates a cache using non-volatile memory or even a small, solid-state drive (SSD). Although the cache typically uses non-volatile flash memory, some Hybrid Hard Drive uses battery-backed volatile RAM (a hybrid RAM disk). The flash memory buffer can speed up repeated reads to the same location; a RAM buffer both read and write speeds, but must be written to the backup storage before power is lost. Because the platters do not need to spin as much, power dissipated as heat in Hybrid Hard Drive is less than a hard drive and non-hybrid drives. Hybrid Hard Drive ensures faster boot time, faster startup from hibernation. 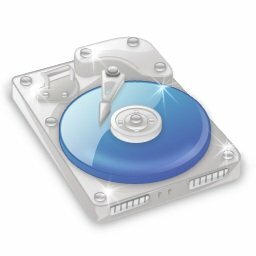 Hybrid Hard Drive has little noise, silent when the motor is not running. Head crashes are due to impact to the computer running while the platters are less likely. Hybrid Hard Drive are currently slightly more expensive than non-hybrid counterparts, because of the higher cost of flash memory. A Hybrid Hard Drive spin-up and spin-down more often than a normal hard drive. Windows Vista and Windows 7 natively support the use of Hybrid Hard Drive. The primary benefits of a Hybrid Hard Drive can be taken from a separate HDD and Flash memory device managed by a software such as ReadyBoost in Windows. This Article Has Been Shared 1531 Times! When you are making a choice of installing and using any registry cleaner for Windows 7, there are some important questions you should ask yourself. Mac uses stable UNIX kernel with state of art hardware, where a cheap Computer can be assembled with Free UNIX like OS Linux.There is no point to buy Windows OS. Cite this article as: Abhishek Ghosh, "Hybrid Hard Drive (HHD)," in The Customize Windows, April 27, 2012, April 25, 2019, https://thecustomizewindows.com/2012/04/hybrid-hard-drive-hhd/.